As a performer using puppets, Jim Henson was able to express himself without showing himself – much like someone wearing a mask. He once said, “Puppets are a lot like masks. Children – and adults – can perform without inhibitions and without being seen. 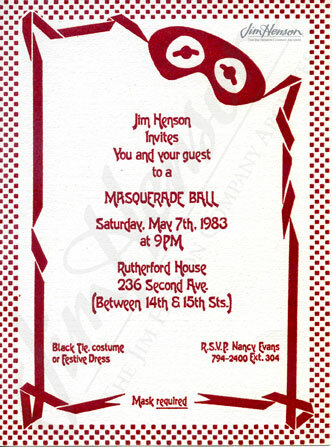 That sort of helps to foster true expression.” Jim also knew that letting go of inhibitions can make for a fun party, and he hosted four costumed masquerade balls between 1983 and 1988. 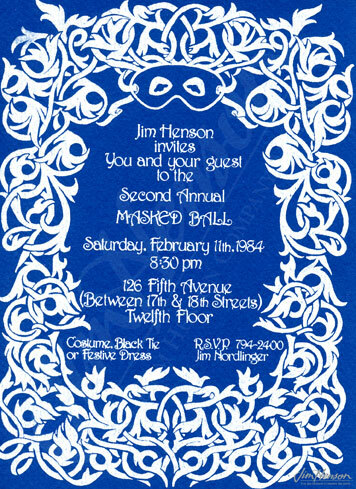 His invitees, including the entire Henson Associates staff, colleagues, friends, and celebrities from outside the company, all worked hard to create costumes and masks. They hoped to disguise themselves while also displaying their creativity, and the ultimate goal was to out-do each other and make it so Jim didn’t know who they were. 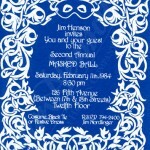 The first ball, held at the Rutherford House on lower Second Avenue in 1983 was a big success and inspired a second ball in a loft space at 126 Fifth Avenue near Greenwich Village the following year. 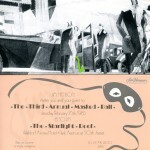 In 1985, preparations for shooting Jim’s fantasy film Labyrinth inspired the biggest masked ball to date. 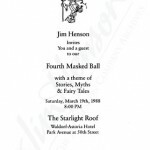 Mirroring the extravagant setting planned for Jareth and Sarah’s big masquerade scene in the film, the Henson party took place in the elegant Starlight Room on the 50th floor of the Waldorf Astoria Hotel. 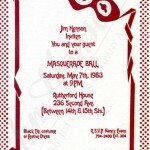 The evening was covered by Entertainment Tonight and attended by celebrities like Andy Warhol. Jim dressed in goblin-like armor and the evening was emceed by Michael Frith. 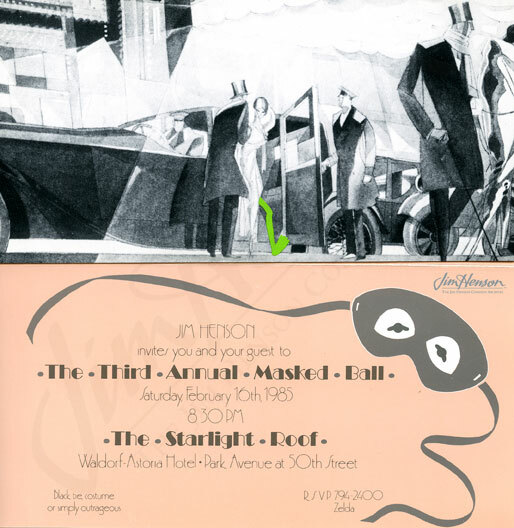 As Frith remembered, “…one of my jobs was to assess the costumes and invent “awards” that I then announced at a (prize-less) prize-giving ceremony.” The final masked ball, held in 1988 also at the Waldorf, was themed to Jim’s then current project The Storyteller. 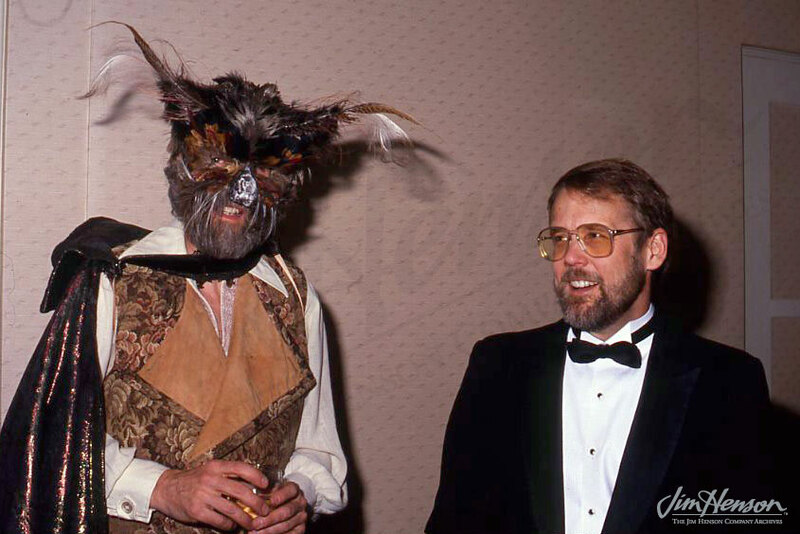 In keeping with the traditional tales theme, Jim went as the Beast from Beauty and The Beast. Watch as Jim Henson greets Andy Warhol at the 1985 Masked Ball. 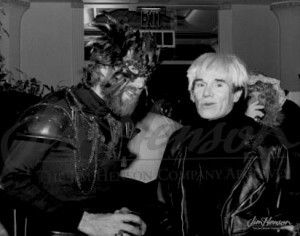 Jim and Andy Warhol at the 1985 Masked Ball. Jim as The Beast with Dave Goelz at the 1988 Masked Ball. 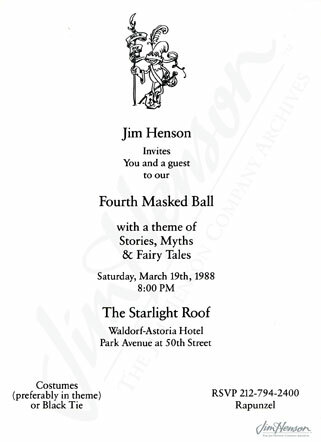 This entry was posted in 05-May '83, 1983, Labyrinth and tagged Jareth, masked ball, Michael Frith, Sarah, Waldorf Astoria Hotel. Bookmark the permalink.